Whether you are looking for something to decorate your bird's cage with, or a new toy to keep them entertained, Nature's Best stocks a large variety of accessories for your bird. A brightly coloured and super fun addition for your bird's cage! Simply fill the Playmate Round Bird Bath with clean water and your bird can bathe and spend hours playing. Penn Plax Calcium Perches are designed to help trim your bird's beak and claws, while the calcium is an essential for strong bones and muscles, and encourages healthy beak and claw maintenance. The perches are also tapered to reduce foot and muscle stress, and easily attach to most cages. Penn Plax Perch Covers feature sand to help keep your bird's claws and beaks trimmed. The perch covers easily slide over an existing perch. Just replace when required. 2 Stainless steel cups for water and food. Natural wood to mimic branches in the wild. Variable diameter perches for maintaining healthy feet. Penn Plax Natural Wooden Perches offer a great place for your bird to relax while the varied diameter perches reduce foot and muscle stress, whilst maintaining healthy feet. Features 2 stainless steel cups to hold water or seeds, and an integrated bottom tray to catch food and make for an easier clean-up. 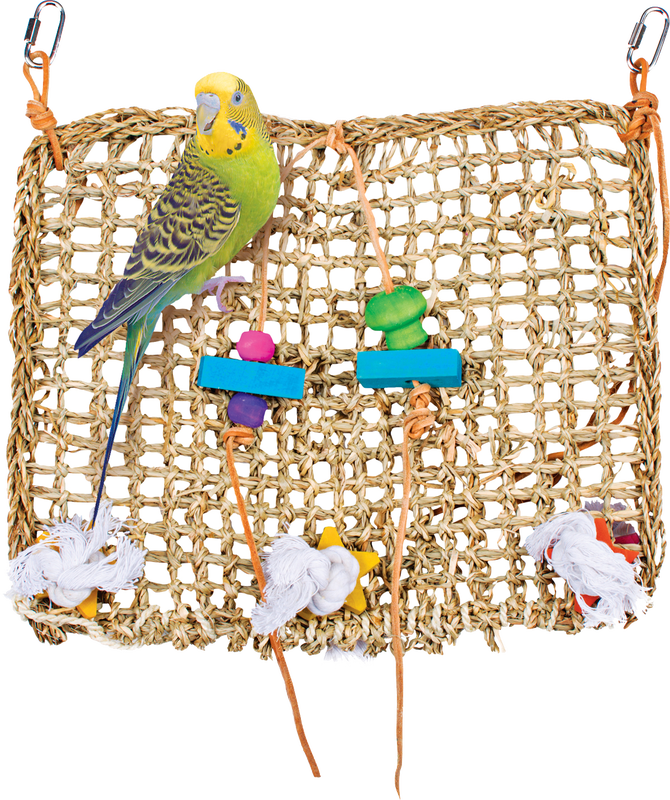 Penn Plax Bird Life Toys offer plenty of fun, mental stimulation, and exercise for birds. The toys easily attach to the roof of any cage and are available in a variety of styles. Contains 7 individual cage liners. No mess, cleaner than paper. 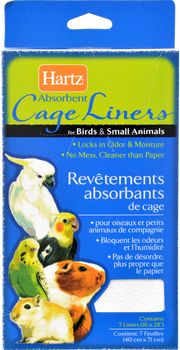 Hartz Cage Liners are super-absorbent, and work to completely lock in any odours and moisture in bird cages. ​Can also be used in other small animal cages, such as guinea pigs and mice. 28 x 38cm (although, you may need to cut to size). 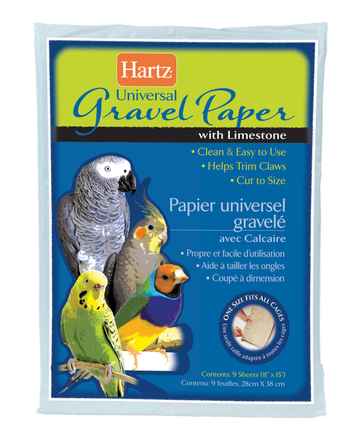 Hartz Universal Gravel Paper is ideal for caged birds as it assists in trimming your bird's claws and also provides grit to aid in digestion. 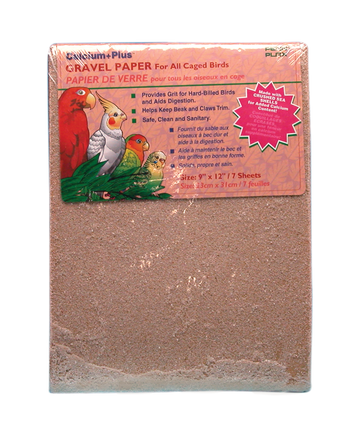 Penn Plax Gravel Paper sheets are designed to be placed at the bottom of your bird's cage. Helps trim your bird's claws and beaks, and features Grit to help aid digestion for hard-billed birds. Made with crushed sea shells for added calcium. Clean and safe to use.